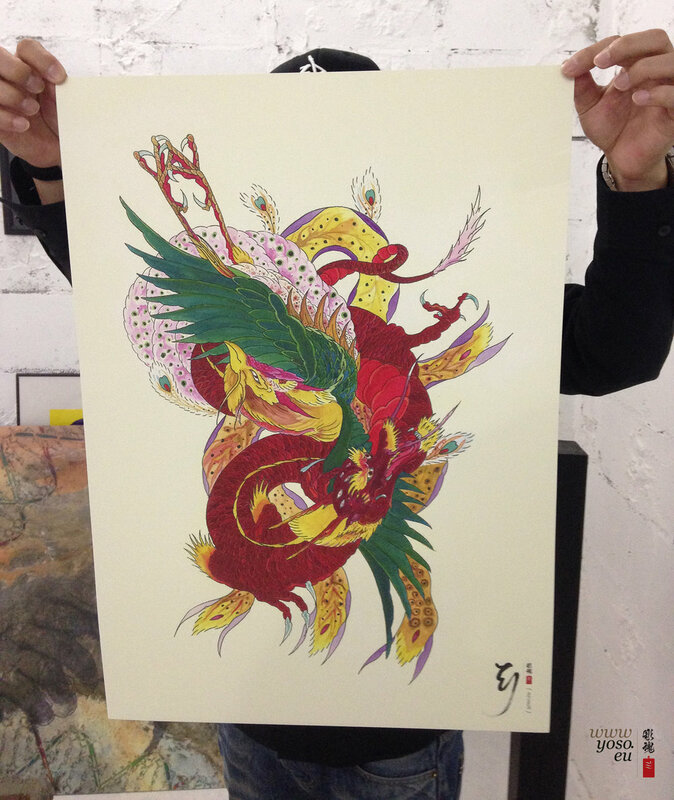 Dragon Phoenix Tattoo design, initially designed for a back piece, printed on Archival Fine Art Paper! Long Live the Tao and the wisdoms our Ancestors left us! Welcoming the new generations that will shape our future! May we all enjoy spontaneity & harmony! The print and the paper quality feels 99.9% As good and truthful to the Original! You can order an A2 print here! Or alternatively, it can be bought in digital format as a High Res Live Size Tattoo Flash here!